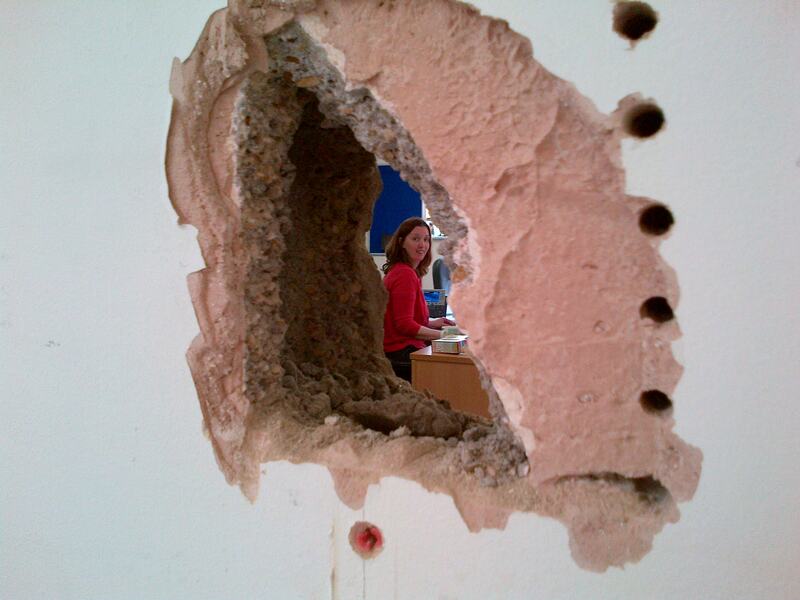 Anna Timbrell, Account Director at Darwin Healthcare Communications is waiting on the new office design. The Darwin Healthcare Communications team based in Kingston Bagpuize are beginning to live the open-plan dream! The offices in Kingston Bagpuize were built on the site of the Old Berkshire Hunt kennels (back in the day when Kingston Bagpuize was in Berkshire!) and were refurbished for the arrival of Darwin in 2002. Everyone is looking forward to a new look for the offices as we gradually update them, taking down a 6 metre stretch of wall between two of the rooms, taking care of some much needed filing and updating some interesting colour choices that were considered ‘modern’ 13 years ago! This entry was posted on June 10, 2015 at 11:05 and is filed under In the office. You can follow any responses to this entry through the RSS 2.0 feed. Both comments and pings are currently closed.